Mother dearest was down for a night and was staying in the city so we decided to head out to Little Bourke St for a light dinner. As usual, we ended up at a Japanese Restaurant except unlike your standard little diners, this ended up being a joint with mouth-watering grill on the menu. To be honest, I usually associate grills with Korean BBQ, but let me tell you that this is so much better (from a culinary perspective at least)! More on that later though. The restaurant itself was dimly lit, with seated booths, a bar area, and a seating area that was in the traditional Japanese style of having cushions on the floor with a raised table. I could imagine this being an ideal venue for a date, or even a small birthday function. Either way, I liked the atmosphere. The service was also quite good. The waiters were very knowledgeable and helpful, but weren't the least bit intrusive (which I appreciate tremendously). As expected from a place with 'Bar' in its name, it has an extensive wine list, particularly in terms of sake, umeshu and Japanese beers. Wines that could be ordered by the glass was a little more limited, and the merlot I ordered was, well, mediocre. I prefer tempranillo, but I didn't really expect them to have it readily available. Moving on though, the food itself was pretty amazing. 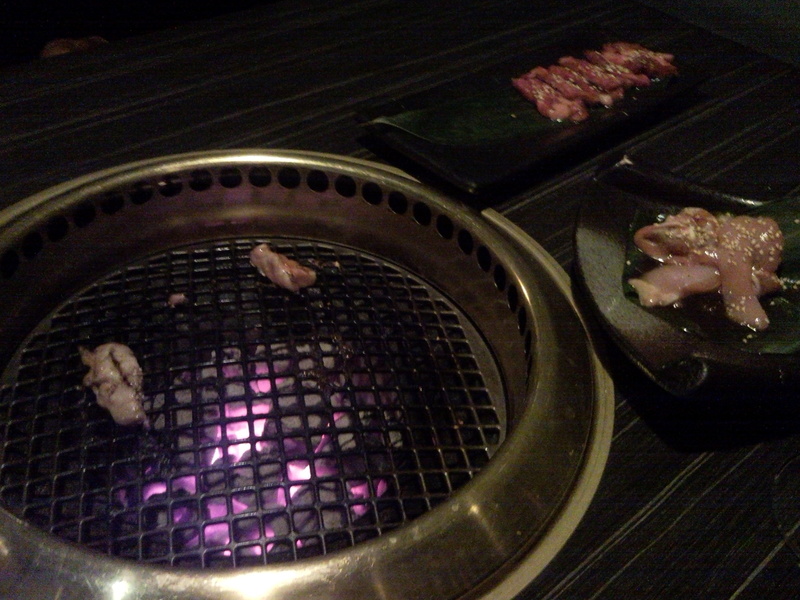 We ordered pork gyoza, eggplant in miso, and a plate each of wagyu and chicken thigh. It was simple, but it was tasty to say the least. It might have partially been the fact that we were cooking it ourselves. It was so good in-fact, that I forgot to take photos before we had almost finished eating. The only downside to this place that I can see is that the serving sizes are tiny and it's more expensive that I'd usually like. 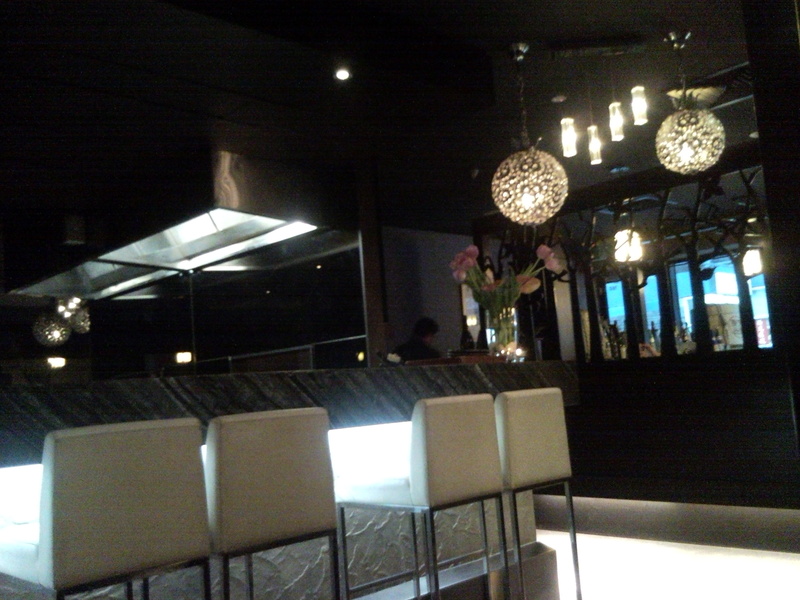 The food, atmosphere and service do a lot in making up for it though, so perhaps I'll go visit again soon.